What are the best Xinjiang books to read? Whether you’re looking to travel to Xinjiang or you just want to understand the situation in Xinjiang better, I’d like to point you toward the best resources currently available to read. Over the years, I’ve read and even reviewed a number of books about Xinjiang on this website. Until now, I hadn’t thought to list them as a resource to those who don’t know what’s available and what’s worth reading. So here’s my list of the top 20 books related to Xinjiang, separated into category (Xinjiang Travel, Regional History, Uyghur, Entertainment & Language) and ranked them. Note: For those books which I have reviewed on this site, I have put a link to that review next to the Amazon link. If you feel that I am missing one of your personal favorites, please suggest it in the comments below and I’ll try to get a review copy. Are you looking to travel to Xinjiang in the near future? These are the books that will help you plan the trip. 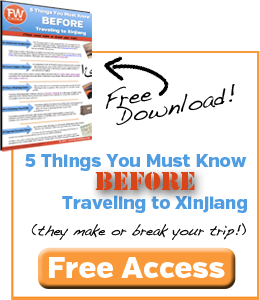 FarWestChina’s Xinjiang Travel Guide: Yea, yea…I know. It seems self-serving to list the travel guide I wrote as “#1”, but when there’s not much competition, it’s easy to “best”. I spent over a year researching and writing this guide that covers every corner of the region. The maps are great too. 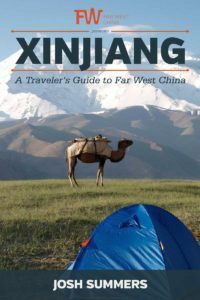 Other than the comprehensive nature of this travel guide, I’ll also point to two things that make this the best Xinjiang travel guide on the market: 1) I offer a money-back guarantee if you don’t find it super-helpful and 2) it comes with free access to a private Facebook group filled with hundreds of other Xinjiang travelers. 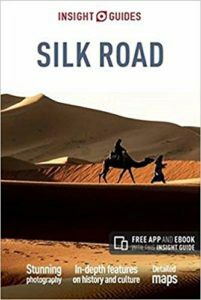 Silk Road | Insight Guides: If Xinjiang is just one stop on your entire journey along the Silk Road, I recommend you check out this great guide by Insight Guides. Not only does it cover China and all the ‘Stans (Kyrgyzstan, Kazakhstan, Uzbekistan, etc), it also marches you into Iran, Turkey, Syria and other such countries on the western end of the famed Silk Road. It’s a hefty 2 pound book, but that beats buying a Lonely Planet for each country you’re going to visit. The history of Xinjiang is an extremely complicated topic, not just because of the length of time but also the large swath of land that is considered “Xinjiang”. The following are Xinjiang books that do a good job covering all or part of the history of this region. 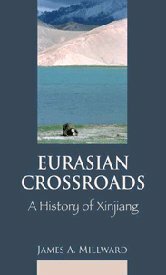 Eurasian Crossroads: A History of Xinjiang: If you are interested in an unbiased book on Xinjiang’s history, there is none better than this, written by James Millward, a scholar and recognized expert on the region. It’s incredibly detailed, which can at times be hard to follow but in the end gives you an appreciation for the diversity of the region. I have a copy of this book on my shelf that I always keep on hand for reference. Read my full review of Eurasian Crossroads. 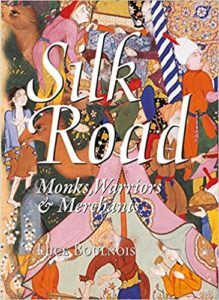 Silk Road: Monks, Warriors & Merchants: for a more broad view of Silk Road history, this Odyssey book by French historian Luce Boulnois was a fun read for me. Combining this book with Millward’s Eurasian Crossroads mentioned above I felt equipped me with historical context not just for the Xinjiang region but for all the regions and countries surrounding it. 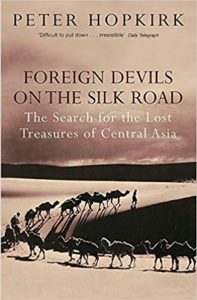 Foreign Devils on the Silk Road: Before anybody travels to Xinjiang I suggest they grab a copy of this book by Peter Hopkirk. Why? Hopkirk is a master storyteller and does an amazing job piecing together the story of the Great Game and how that played out here in Xinjiang. 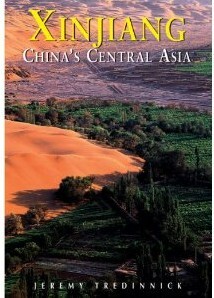 You’ll appreciate Urumqi, Kashgar and especially Dunhuang so much more if you read this book before you visit. * Read my full review of Foreign Devils on the Silk Road. 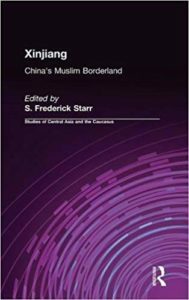 Xinjiang: China’s Muslim Borderland: Like Eurasian Crossroads, this is a book that feels more like a textbook than something you sit down and read on the airplane. Despite this and early publication date, I still enjoyed how this book brought together the foremost experts on Xinjiang to help paint an accurate picture of the region. 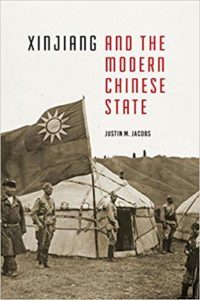 Xinjiang and the Modern Chinese State: Covering the historical period between the final days of the Qing dynasty up to the early 2000s, professor Justin Jacobs does an excellent job covering Xinjiang as a “modern Chinese state”. Most of this book looks at China through the lens of Chinese officials governing the region at the time. 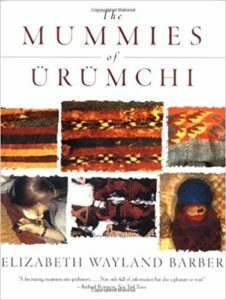 The Mummies of Urumchi: If you’ve ever been to the Xinjiang Museum in Urumqi, you’ve probably seen the fascinating mummies on display. Using her expertise in historical textiles, the author looks to unravel the mystery of who they are and where they came from. The following are books that deal specifically with Uyghur culture and the current oppression that is happening. 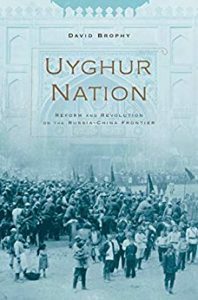 It’s been called a “cultural genocide” that China has begun against the Uyghur people, and as you read many of these books, you’ll understand why. 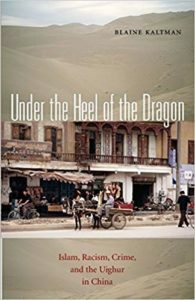 Under the Heel of the Dragon: As part of his doctoral thesis, Blaine Kaltman conducted over 217 interviews with Han and Uyghur here in Xinjiang to get their perspective on the tension here. The results – and the quotes – are eye-opening. Read my full review of Under the Heel of the Dragon. 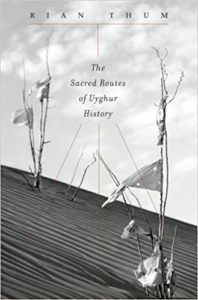 The Sacred Routes of Uyghur History: Professor Rian Thum explores the history of Uyghur and digs well beyond the current political and ethnic conflicts. You’ll walk away from this book with a greater respect and understanding of Uyghur history and how it has brought us to where we are today. 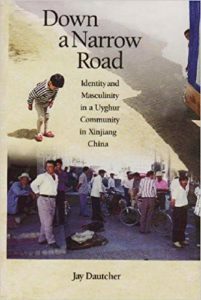 Down a Narrow Road: Identity and Masculinity in a Uyghur Community: Diving into a bit of ethnography here, this book by Jay Dautcher could be considered a more unbiased, academic view of the Uyghur people. Very interesting if what you’re looking for is a less political view of the Uyghur people as explained by the Uyghur people themselves. 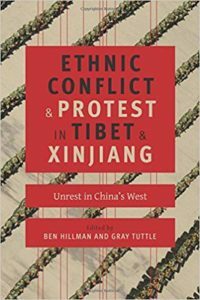 Ethnic Conflict & Protest in Tibet and Xinjiang: As with many other books on Xinjiang, this book takes interviews with ten experts to get a balanced view of the ethnic conflict that plagues both Xinjiang and its neighbor to the south. 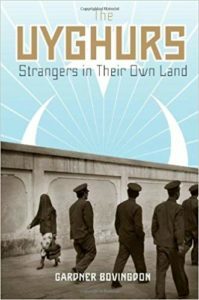 The Uyghurs: Strangers in Their Own Land: Author Gardner Bovington is another highly respected member of the academic community covering Xinjiang. I found this book to be quite insightful, nodding my head in agreement quite often, covering every topic from from politics to religion. Uyghur Nation: You can think of this book as “the birth of the Uyghur”. China loves to point out that prior to a hundred years ago, the term “Uyghur” wasn’t even used to describe these people. So where did these Central Asian Muslims become known as the “Uyghur”? 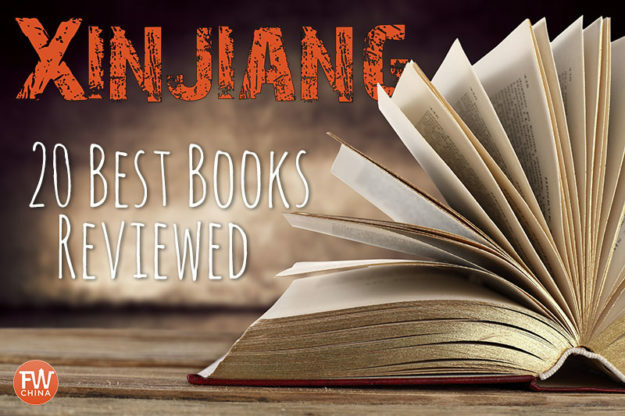 If you’re the type of person that needs some entertaining reading as you explore the Xinjiang region, these are some of the books that I recommend. 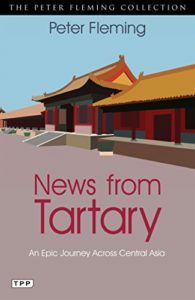 News from Tartary: An Epic Journey Across Central Asia: Many people are familiar with Peter Fleming, famous journalist, writer and explorer. 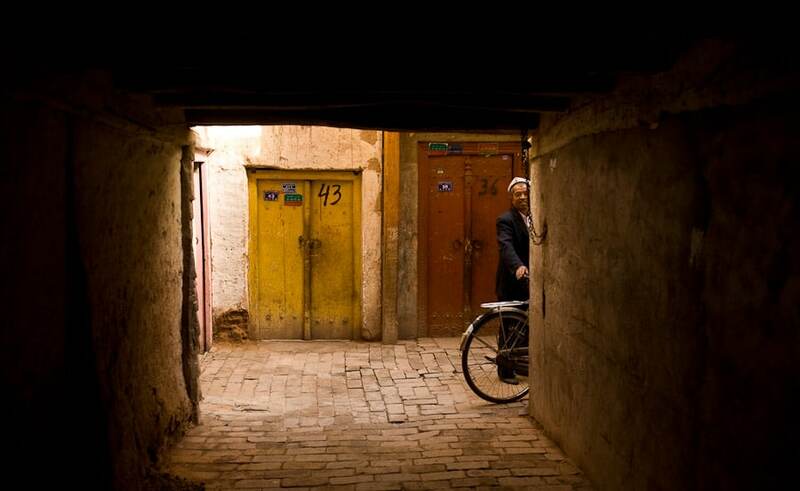 In this book he recounts his journey from Peking (Beijing) to Kashgar – all 3,500 miles of it. Fascinating read! 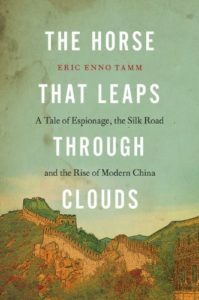 The Horse that Leaps Through Clouds: Author Eric Enno Tamm takes a journey following the footsteps of Mannerheim, a Finnish explorer from the early 1900’s. There were parts of the book I didn’t particularly enjoy or agree with, but it was entertaining none-the-less. Read my full review of Horse that Leaps Through Clouds. 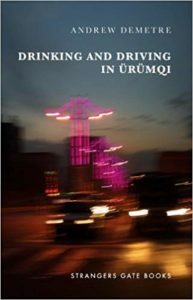 Drinking and Driving in Ürümqi: This unusually short non-fiction book by American author Andrew Demetre is a brief glimpse into life here in Urumqi, at least how it used to be. I’m not a huge fan of people who visit Xinjiang for a short period of time and then write about it, but since that’s really the only literature available, it will do for now. For those looking to learn the Uyghur language, there are a few resources that are out there. If you’re serious about learning the language, you’ll probably want to check out my comprehensive guide to learning the Uyghur language, but for those who just need a starter, these two books are good. 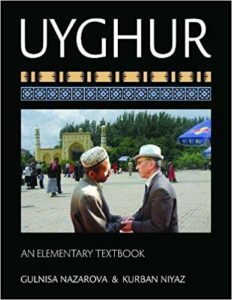 Uyghur: An Elementary Textbook: Published in late 2013, this textbook is an excellent first step into the Uyghur language, although it is aimed primarily at the classroom learner not the solo polyglot. Read my full review of this Uyghur textbook. Beginning Uyghur for English Speakers: This is the text that many people here in Xinjiang use to learn Uyghur and it has stood the test of time. 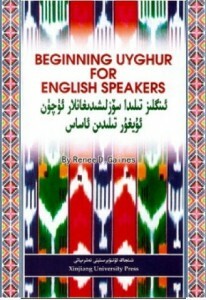 It’s an excellent supplement to a Uyghur tutor. So the following aren’t books but since they’re still incredibly interesting and related to Xinjiang, I thought you might find them useful for me to mention here. 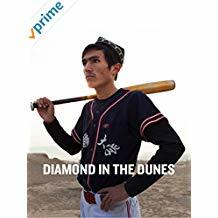 Diamond in the Dunes: Follow along with this fascinating, hour-long documentary about the introduction of the game of baseball in Xinjiang. 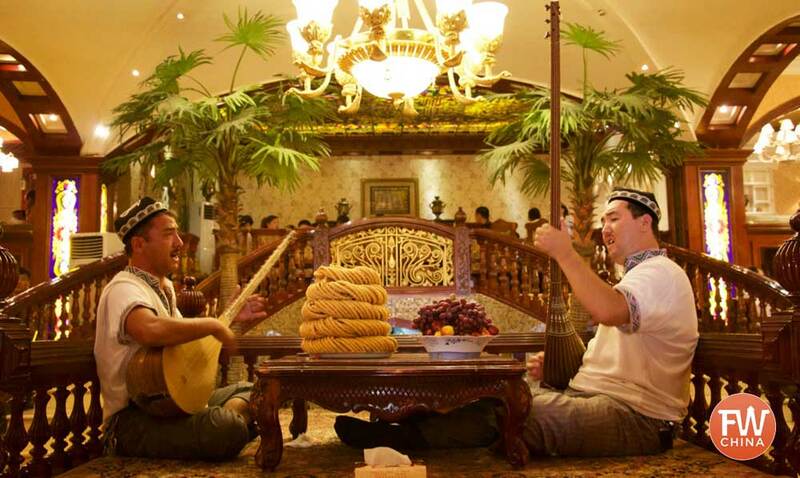 I’ve played baseball with these guys and spent time with the primary Uyghur character in Urumqi. It’s a fascinating story and best of all, it’s included free for Amazon prime members to watch. The Silk Road: A Musical Caravan: Produced by Yo-Yo Ma (need I say more? 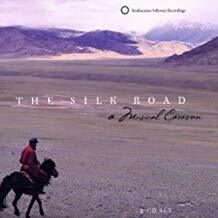 ), this audio CD could easily be the soundtrack for your journey through Xinjiang and the Silk Road. Obviously there are many good Xinjiang books that haven’t been mentioned on this list. However, I do believe it represents a good selection of books that cover travel, history, culture and language from China’s far western Xinjiang region. You won’t find any good books from within Xinjiang (they’re all either propaganda or they’re not available), so your best bet is to grab them before you go. Do you think there are any good Xinjiang books that need to be mentioned here? Talking about demographics, does anyone know where to find the results of the 2010-11 census for Xinjiang? The only datum I’ve found is about the total population (21,813,334), but no clue about the nationality breakdown (no pun intented). Thanks, a very helpful listicle! May I suggest as well “Under the Heel of the Dragon” and “Oasis Identities”…though these two books bear obvious Uighur sympathies, they also seem quite honest about the history (some fascinating facts: “Uighur” is a revived label, revived by the Chinese state on the advice of their Soviet sponsors [this is almost like categorizing today’s New Yorkers as “Algonquins”]; there exist so-called Yellow Uighurs or Yugurs maintain that they are the true Uighurs, being still Buddhist; Han migrants in Xinjiang just as often perform menial labor for Uighur bosses as they do for Han ones)…. Oh yeah, hope you and yours are well in these increasingly “interesting” times! Is there a book in “print” by Josh on XinJiang. All I see listed is the Kindle version. Book has been in the works for a while. It’s been a lot harder than I first thought!